Now serving Florida’s Gulf Coast! 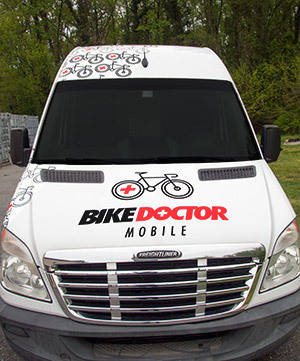 Bike Doctor Mobile provides a mobile mechanic when you’re in need of bike maintenance and your local bike shop is backed up for weeks. Providing quality, fast, efficient, door-to-door bike service from basic bicycle tune-ups to major overhauls, Bike Doctor Mobile is your bike shop on wheels and at your convenience. Let one of our mobile bike shops come to you for all your bicycle fixes, and you’ll get more time in the saddle.